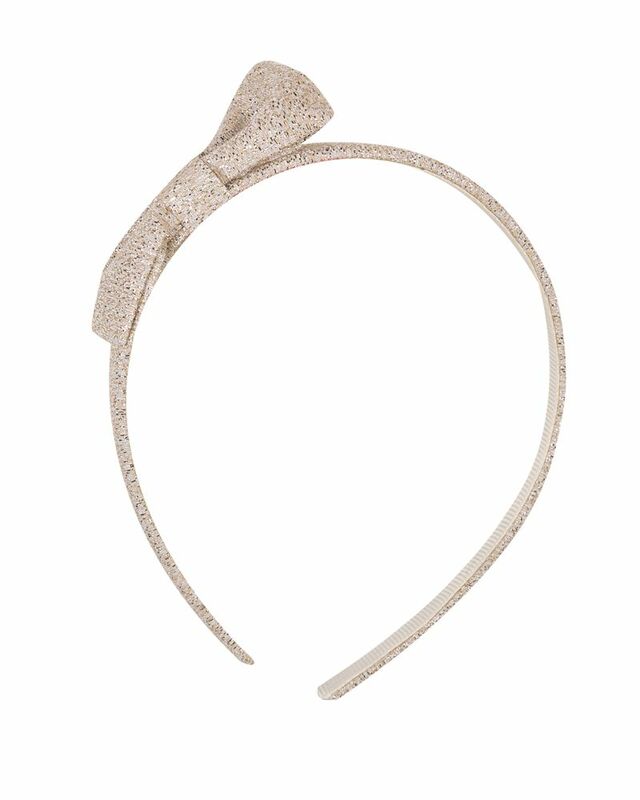 Lili Gaufrette gold headband with embellished bow finish. 52% Polyester, 37% Cotton, 11% Fibres. Imported.